My seven days of juicing are up, my juicer is definitely broken in and has a new found home in my kitchen next to my kettle. If you haven’t seen my previous #RealJuice updates, scroll through my blog to read about each individual juice to find yourself some new recipes. Or jump right to the beginning to here – “#RealJuice…If It’s Good Enough For Millie Mackintosh”. I’ve been using my Philips Viva Collection Juicer* to make each juice and even though it’s my first experience with a juicer I think it’s a super easy tool to use and clean. Considering I hate dismantling and cleaning machinery I don’t mind so much with this juicer as there is only really three sections that come apart. It is super compact – hence why I’m happy to leave it on the kitchen top. But even though it’s compact it’s still powerful and blitzes through beetroot, ginger and carrots super easily. I have really enjoyed my week of juicing and definitely see myself incorporating them into my usual day-to-day diet. I have a few more recipes to try such as the Super Skin Juice, Beat The Bloat Juice and Extra Energy Juice. Plus the Watermelon Cooler will be a firm feature in my fridge now! Madeleine Shaw has created so many yummy juices to enjoy which all have different benefits to you body and health. It’s a simply way to cram all your nutrients in without overdosing on salads and fruit. 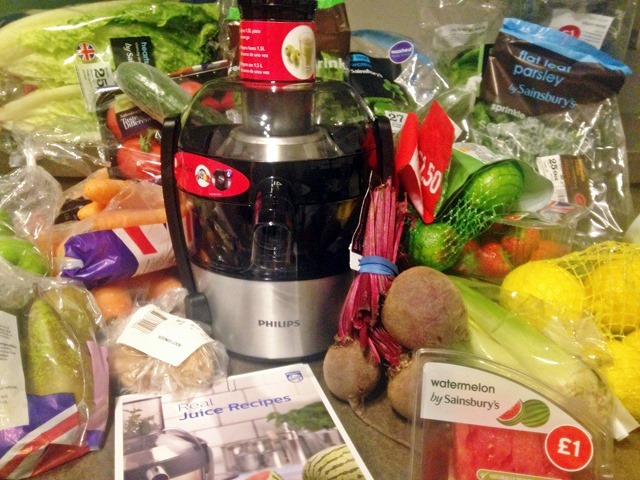 Have you ever given juicing a go? Do you regularly include them in your diet? 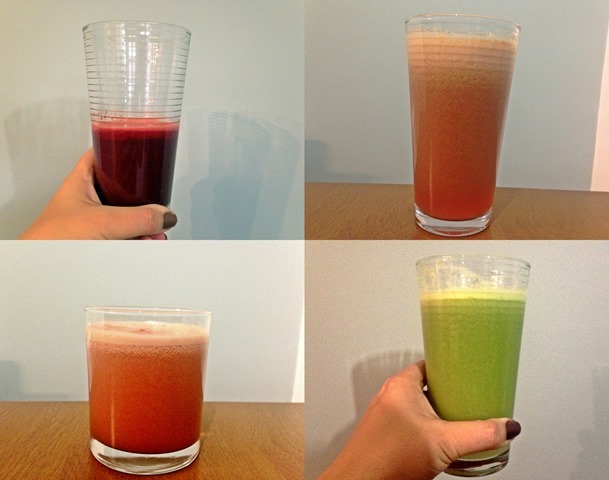 Share your favourite juicing recipe below!